Award winning landscape architect Dean Butcher has been appointed as Technical Director and will be based from the company’s Brisbane Office. Dean has over 27 year’s industry experience and has had considerable professional exposure to both public and private sectors in Australia and abroad. He has strong design and management skills and his key focus lies in integrating urban and natural environments with sustainable solutions. “I am really looking forward to the opportunity to expand SLR’s environmental and advisory services in Asia Pacific and also collaborate with the European team. I am passionate about creating innovative and sustainable solutions for our projects by ensuring they are functional whilst helping to enhance the character of the projects’ local context”. “Dean is certainly a welcome addition to launch and lead our Landscape Architecture team in APAC. His depth of experience in the key market sectors SLR operates within complements our existing services already offered. 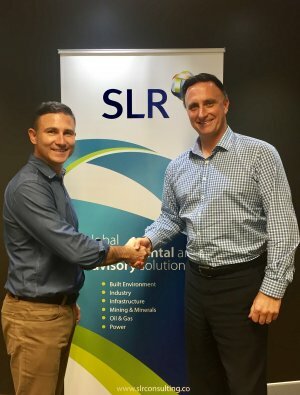 I continue to be excited by SLR’s position as a leading global provider of specialist environmental and advisory services and am excited by the region’s recent technical growth”. Internationally, SLR now has over 50 landscape and urban design personnel offering services in landscape design, visual and townscape assessment, master planning and green infrastructure.